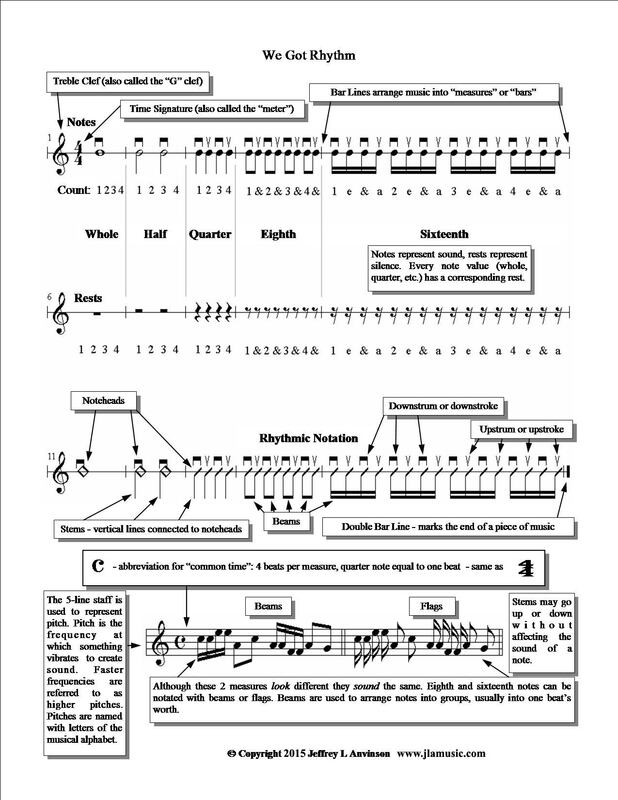 When I was teaching at the college level and regularly taught beginning, intermediate, and advanced courses on guitar, I created a one-page reference of many of the common rhythm terms. It is reproduced here for your convenience. I hope you find it useful.